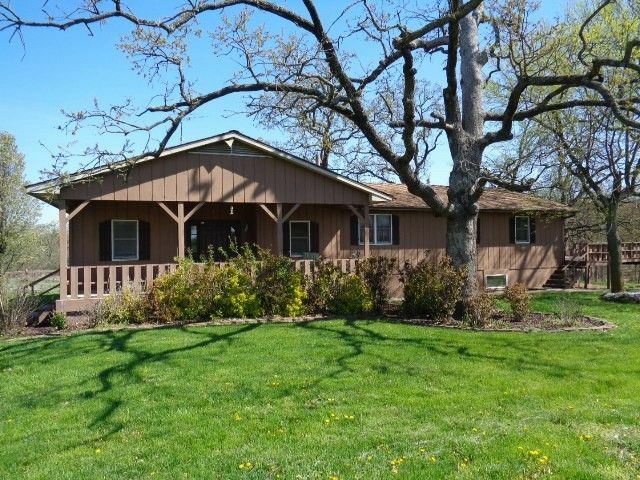 You will love the spacious open living room in this solid ranch style home in the country. It sets on paved road south of Nevada and is located within Nevada school district. Lot size is apx 2.4 acres m/l. Home features a partial walk out basement that is mostly finished, a large deck, spacious 19' x 26' living room, fresh interior paint and central heat and AC. Central furnace installed Fall 2017 and AC apx 7-8 yrs old by Ast. Home has 2 bedrooms up and 2 down and has a glass walk in shower in master bath bath. wood stove in basement is not hooked up. Home has newer living room carpet. West living room addition was put on apx in 1992. Utility Average is electric only. Property surveyed in Aug 2018 by Lynn Calton. Available in separate MLS listing is 29.2 acres m/l adjacent that includes pole barn and machine shed west of home - see MLS #130375.